The earthquake, which struck shortly after midnight local time, was the most severe aftershock in an area badly damaged by a magnitude 7.5 quake that flattened villages and caused landslides, killing at least 55 people. 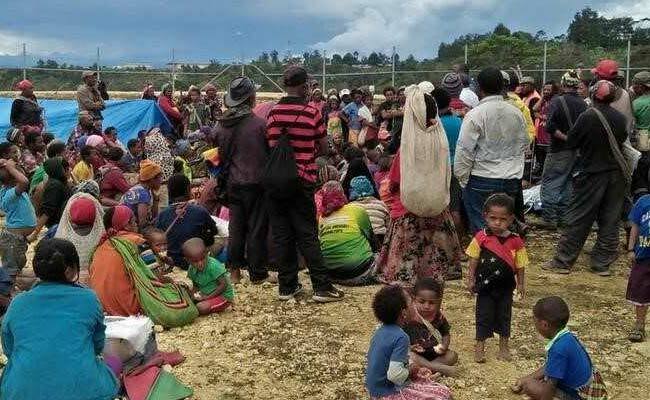 Sydney, Australia: At least 18 people have been killed by a magnitude 6.7 quake that struck Papua New Guinea's mountainous Southern Highlands early Wednesday, an official said, adding to the death toll from a larger quake nine days ago. The first casualty assessment comes as authorities and aid workers struggle to reach the rugged highlands area to assess the extent of the damage of the first earthquake on Feb. 26 and deliver aid to stricken locals. Landslides, blocked roads, cracked airstrips and damaged telecommunication links have hampered efforts by authorities to assess the death toll and deliver supplies to the more than 150,000 people that agencies estimate are in need of aid.